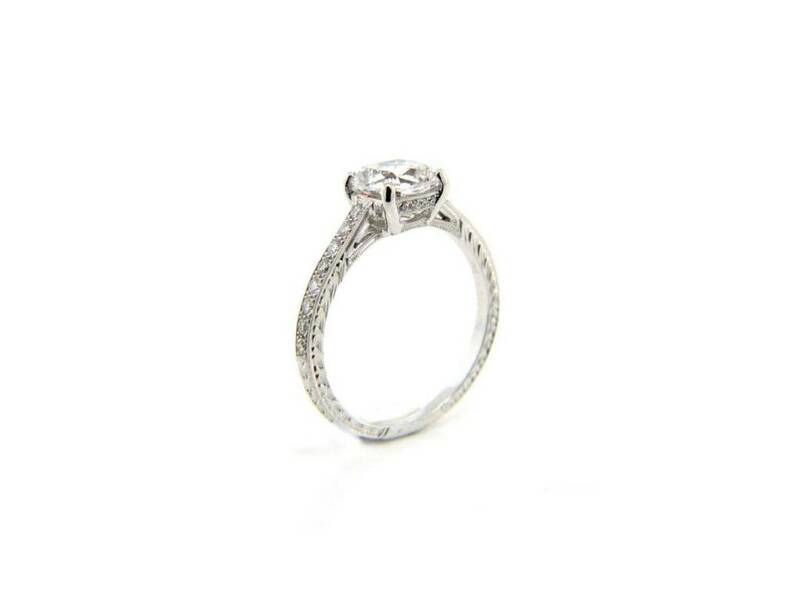 Diamond pave ring shank and solitaire prong mounting. The listed price is for the mounting ONLY. This mounting can be customized to be in any metal, and can accommodate any size center stone. setting for an additional cost.